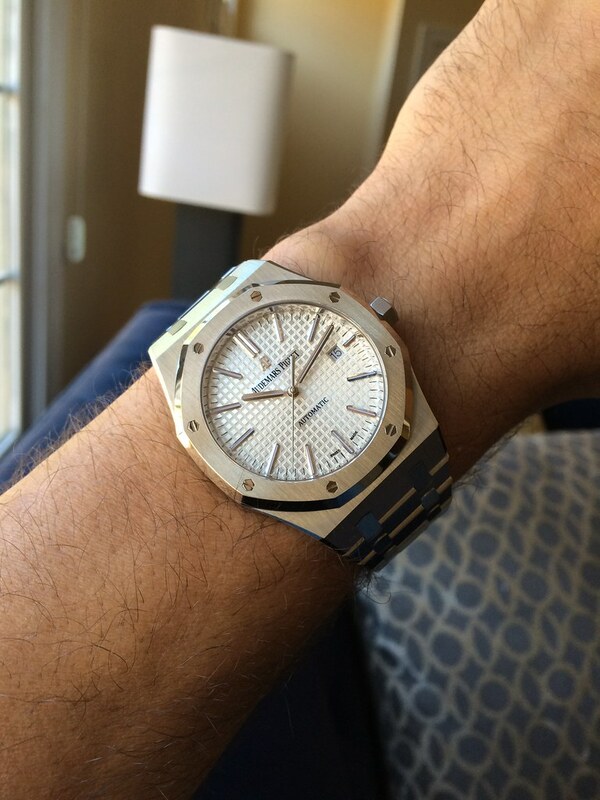 TimeZone : Audemars Piguet » 15400 Back! Just got back from water test and so happy to have on my wrist again! Turnaround seemed faster than ever before, under 4 weeks. Great communication as always from AP and I do love me some Betsy down in Clearwater! Big A++ to AP yet again.